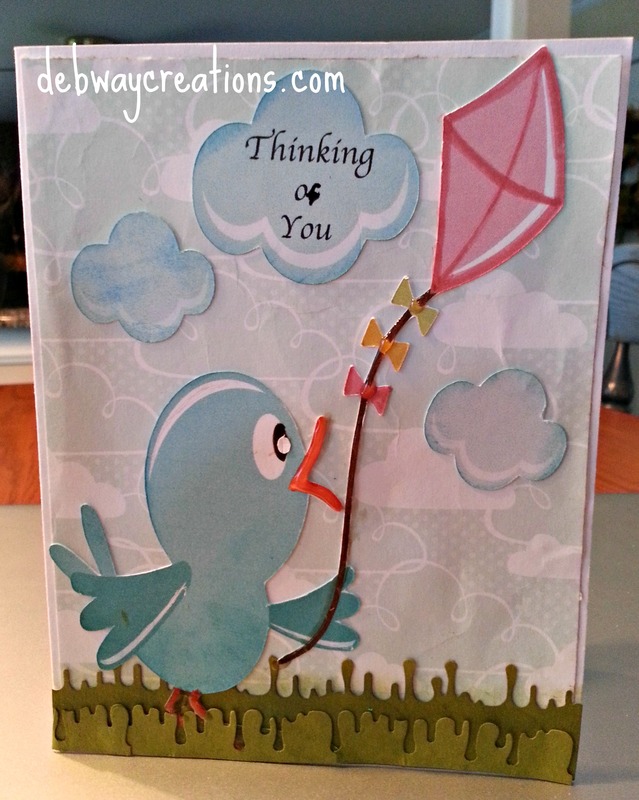 Kite Card for Operation Write Home’s Midweek Throwdown: Go Fly A Kite! Operation Write Home requested we make a card with a kite for their Midweek Throwdown: Go Fly A Kite! I thought this cute bird flying a kite was perfect for it. I used the cut and print feature of my Cameo to cut the design. I added lots of additional color with Tombow dual brush pens. I also added some glimmer with Glossy Accents. The card is an A2 size . I printed the sentiment using my computer. Please consider making cards for this great organization. The soldiers also enjoy getting any hero mail. Very cute card. I love the bird!